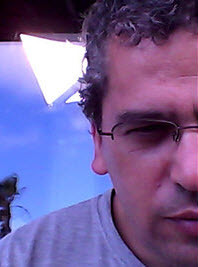 Jorge Camoes (photo, right) of excelcharts.com, posted an interesting blog the other day about chart classification. 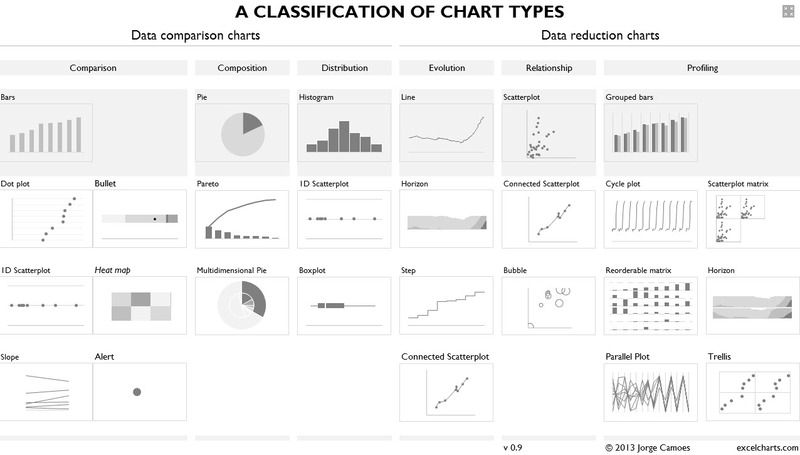 A few weeks ago, Jorge needed a classification of chart types for his upcoming book, and reinventing the wheel was the last thing he wanted to do. He started with Andrew Abela’s well-known classification and the Juice Analytics version. It was a good starting point for him, but it did not fit into his work, so Jorge decided to design his own classification (it’s always nice to have new standards), inspired by this one but also by others, like Stephen Few’s Chart Tamer. (b) help you generalize the data and find patterns, making the data points less relevant. These roles should be as mutually exclusive as possible (but in real world that’s harder than expected).